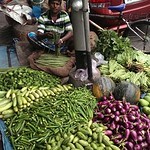 Guest blogger and KCFS intern Jenn concludes her travel recaps to India with Part 3! 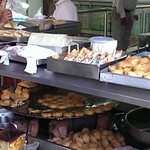 As I have learned from my travels, the types of food in India vary greatly from region to region. 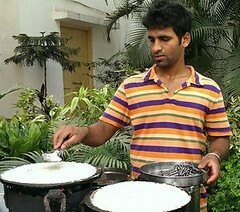 One dish that I have consistently enjoyed in every city that hails from the south is dosa. Made from a batter of ground rice and fermented lentils, dosa is a large crepe that can be served plain or rolled with a variety of fillings. 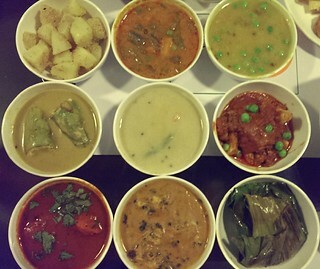 It is always accompanied by sambar (a spicy lentil soup) and different types of chutneys (usually coconut, mint, and tomato). 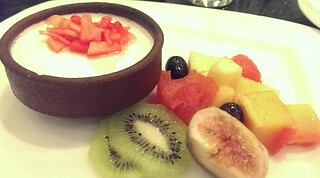 All the food I’ve had was delicious but there was something special I was yearning for – mangoes! 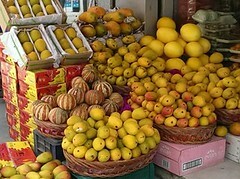 When I first arrived in the country, I was dismayed to learn that I was too early for mango season. And while the streets were lined with all types of mangoes, I was assured by locals that they were not sweet at all and I’d needed to be patient. Finally, on my last day in the country my patience was rewarded. 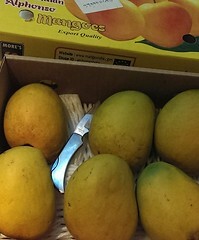 The first crop of the summer season of the ‘king of mangoes’ had arrived! 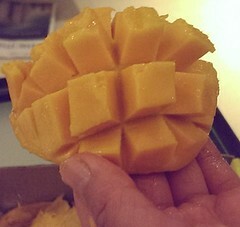 Alphonso was his name and as the sweetest, juiciest, and most fragrant mango variety, he definitely delivered! My trip was complete. When you think of a food that is a favorite for all– pizza is first to mind! Crispy crust, bold sauce, a plethora of cheeses and indulgent toppings – all come together for this classic crowd-pleaser. Pagliacci Pizza has been a Seattle fave for years offering a plethora of pies with cool, local ingredients that change seasonally. How about roasted Washington Asparagus on a freshly baked pizza? Make sure to check out their menu often for more seasonal variations. 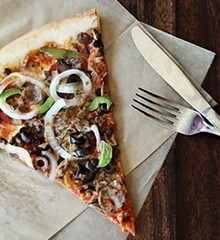 Who’s ready for a fresh slice from Pagliacci? I am! Making a pizza dinner at home and want to try something different? Head outside and try grilling your next pizza. Pull a piece of dough into a pie shape. Toss it onto a hot grill. Flip then add your sauce and toppings, and cook till crisp and delicious. Tasty and fun! This is a great basic pizza recipe to get creative with. Using a baking stone, also known as a pizza stone, in your oven will help you achieve results similar to a restaurant’s. A baking stone distributes heat evenly. Preheat your oven with the stone in place on the lowest shelf. When the oven is fully preheated, place the pizza crust itself or a baking pan (if you are doing a pan flat bread) directly on the stone. Or try the grilling method I mentioned in my blog. In bowl of mixer fitted with dough hook attachment, dissolve the yeast and honey in the warm water. Add the oil and about a third of the flour, and mix in on low speed until flour is mixed in. Add half the remaining flour, the salt and basil. Mix on low speed until flour is mixed in. Add remaining flour and mix on low speed until the dough comes cleanly away from the sides of the bowl, about 5 minutes more. Divide the dough into 2 pieces and round each piece (Work each piece into a ball, stretching down at the sides and tucking under at the bottom. Repeat several times. On a smooth, unfloured surface, roll the ball under the palm of your hand until the top of the dough is smooth and firm, about 1 minute.) Cover the dough with plastic wrap and let it rest for 15 to 20 minutes, or wrap in plastic and store refrigerated for up to 2 days. Lightly flour the dough balls, shake off excess, and place dough on a clean, lightly floured surface. Start to stretch the dough. Press down at the center, spreading the dough into an 8-inch circle, with the outer border a little thicker than the inner circle. Or, roll out with a rolling pin, keeping the outer edge a little thicker. Brush the inner circle of the dough with olive oil and arrange the remaining topping ingredients in order, dividing evenly between the two pizzas and ending with the shredded mozzarella. Transfer to a baking sheet, and bake on top rack of oven until the pizza crust is nicely browned, about 15 minutes. When pizzas are done, lay out the slices of prosciutto on pizzas. Sprinkle with arugula and kosher salt to taste, then drizzle with olive oil and balsamic vinegar. Transfer the pizzas to a firm surface and cut into slices with a pizza cutter or very sharp knife. Serve immediately. Guest blogger and KCFS intern Jenn continues her travel recap to India with Part 2! 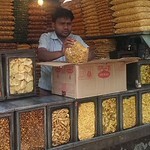 Food is everywhere in India – from vendors selling fresh produce on the street to food stalls lining the sidewalks for those looking for a quick snack. 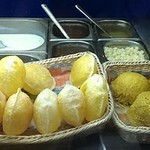 Whether you’re looking for an icy treat to beat the heat or a savory bite like fried samosa, there’s something for everyone. 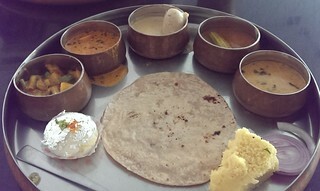 While locals have the luxury of eating as they please, outside travelers have to be weary of the food they choose to eat to avoid the much feared “Delhi belly”. In order to combat this, I had to be very selective of what street foods I could eat, but in the end, I definitely indulged. 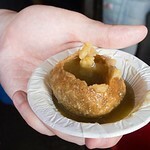 My favorite street food by far is pushka (or pani puri, depending what part of the country you’re in). Start off with a puffed ball of semolina dough that has been fried to crispy perfection. Poke a little hole on one end to make room for a spoonful of filling made from potatoes, onion, and masala spices. 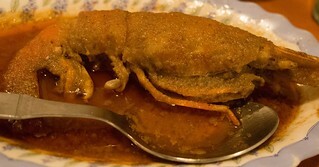 Then, pour in some sauce made from tamarind paste and lemon juice. 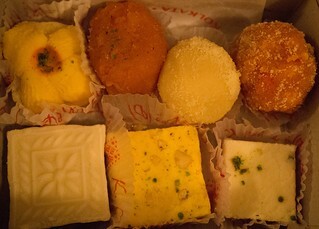 Lastly, enjoy it altogether in one perfect bite! My husband Cliff, myself, and his cousin enjoying a fresh pushka! It’s the perfect combination of sweet, savory, spicy, and tangy! Welcome to the brand new Dishing with Kathy Casey – The Newsletter! I can’t wait to share all of my tasty adventures with you; read on to see what I’ve been up to, check out some great recipes, and enjoy all things d’lish! What is the coolest thing you’ve seen around the beverage world? The Drink Nation Experiment wants to know! 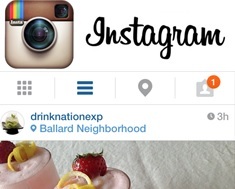 Facebook, Tweet, and Instagram anything you see or sip that is cool, unique and cutting edge in the land of beverage. Great cocktails, beers, cider, a cool coffee presentation, a fantastic non-alcoholic beverage –share, tag, and post it! 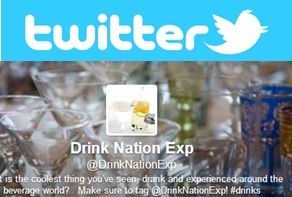 This 6-month social media experiment will showcase the best of the best in the world of beverage. 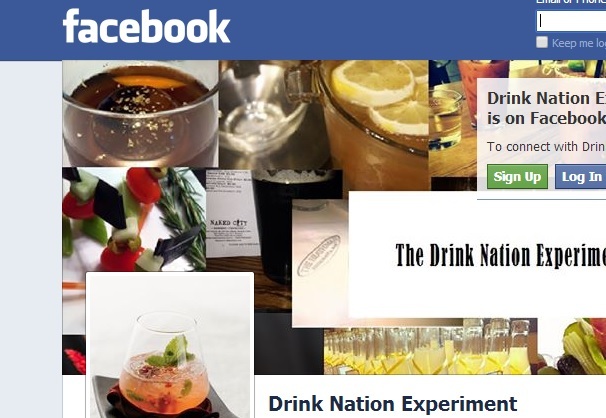 The Top 40 trends and findings will be presented at this year’s Flavor Experience conference by Beam, Inc.’s resident Mixologist Philip Raimondo and myself – and then posted on the Drink Nation Experiment Facebook page. So let us know what you’re seeing out there in your travels, at your favorite bar, or restaurant! 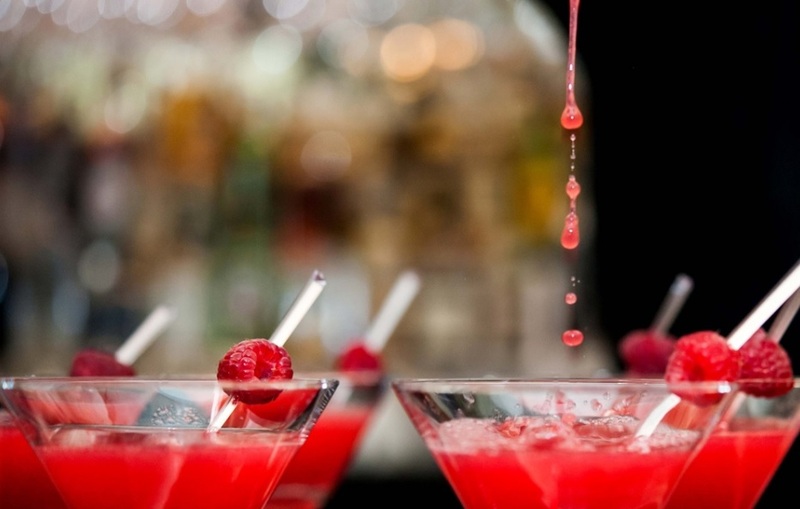 From Seattle to Miami …Dubai to Peru, we look forward to virtually sipping your next drink with you! 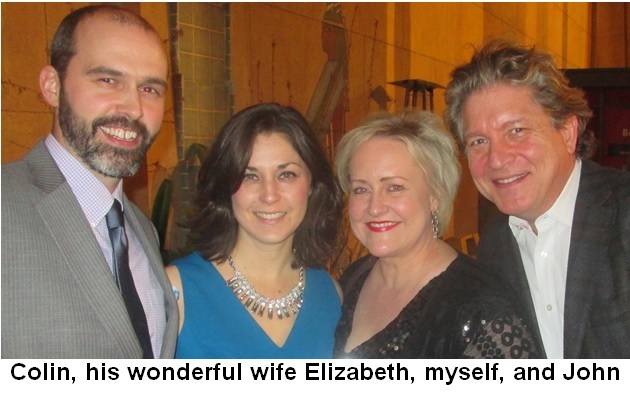 Time has been zipping by and 2014 has been off to a great start! Since my last Newsletter, it’s been non-stop busy with traveling. Here’s a peek of what my team and I have been up to lately and what’s coming up. The Heathman Restaurant & Bar! In the early 90’s I wrote the Northwest Table Cookbook and Chef Greg Higgins penned the Oregon chapter. He was the chef at the Heathman Hotel way back when and the hotel became my home base for shooting the Oregon companion videos for PBS. Fast forward about 12 years – we did a new cocktail menu and I was thrilled to be asked to come back and do new cocktails to go with Chef Michael Stanton‘s NW local-French inspired menu. It was so fun to create cocktails to compliment his menu and cooking style. 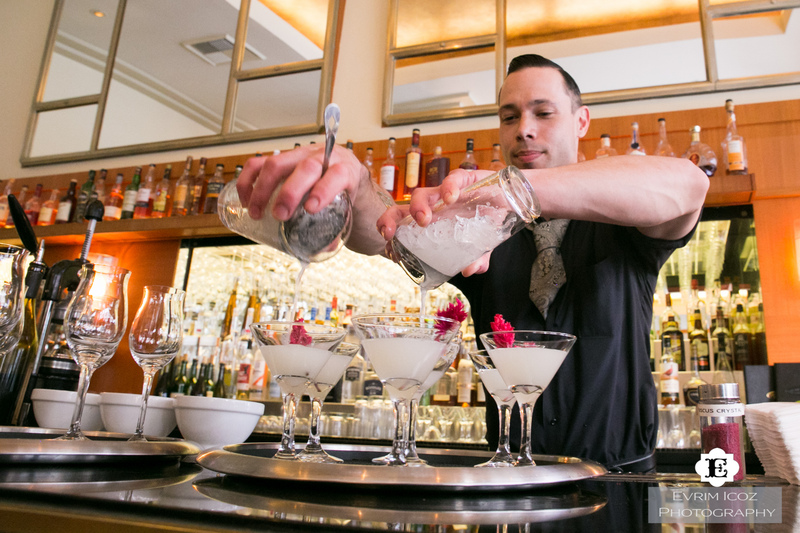 Liquid Kitchen’s Keith Waldbauer and I recently headed to Portland to shake up our new cocktails at a press party featuring the new menu. 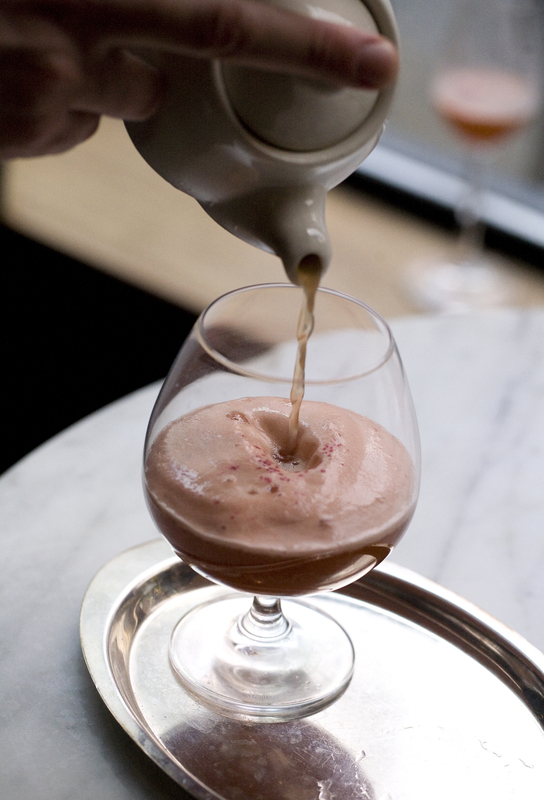 To go with the Heathman’s famed High Tea service, we created the Tea Court Lounge Punch with Fonté Earl Grey Tea Spiced Syrup, rum, cognac, and fresh juices – topped with and Angostura Foam. Another party favorite was the Vineyard Margarita. The Oregon Berries & Bubbles! It was great to meet so many cool Portland bloggers – and their photos of the event were amazing! I hope that you’ll stop by the Heathman Restaurant & Bar on your next trip to Portland! 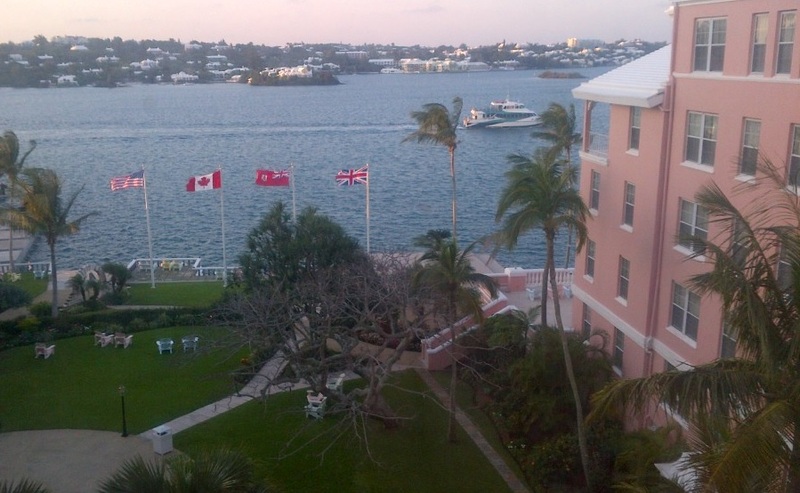 After a winter in Seattle, I enjoyed heading to Bermuda with Associate Mixologist Dänny Ronen to implement a new bar menu at the Fairmont Hamilton Princess. Look at the beautiful view from my room! 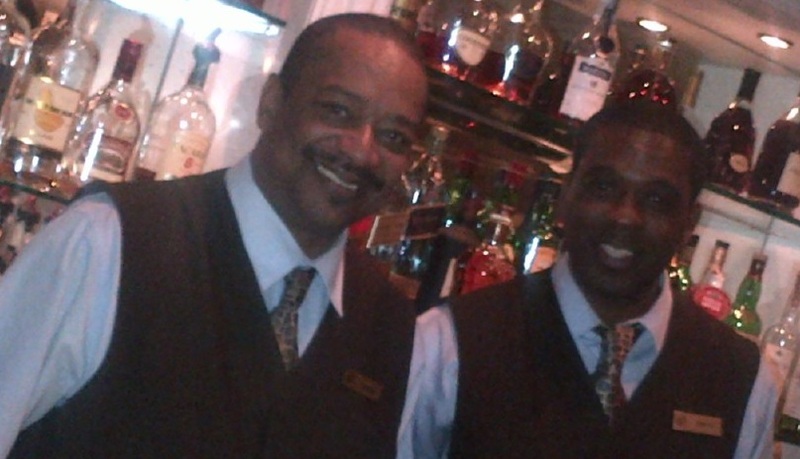 It is always great to meet new bartenders and learn about local spirits. Yes, the local rums are amazing there. 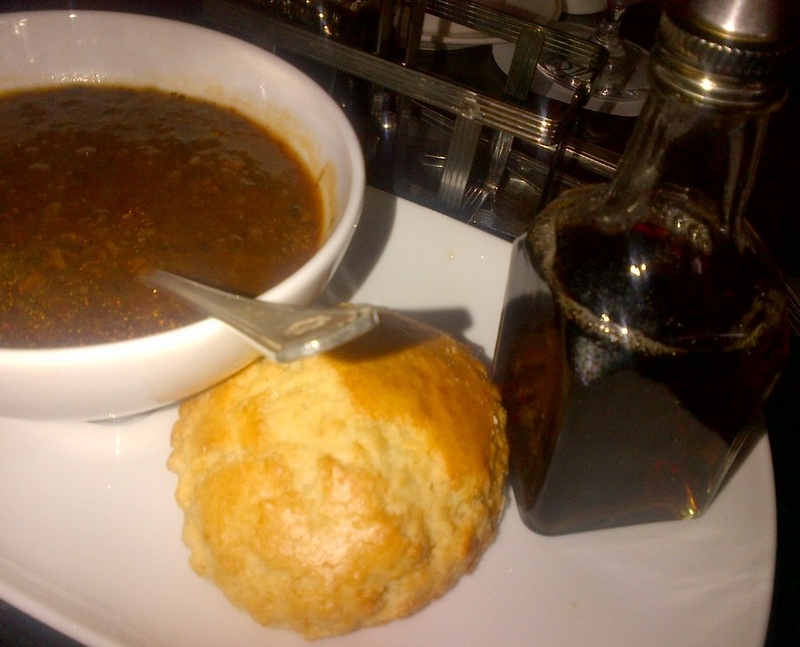 The local fish chowder (also the national dish) is served with a caddy of dark rum and sherry pepper sauce to customize your soup. Served with a corn Johnny cake – this was definitely a go-to lunch. The preparation of this soup is very old school, and a LOT of technique goes into making it – yum! Bermuda Fish Chowder – amazing flavor! Dänny and my Sous Chef Jason Anderson, and I are headed back to Bermuda in the next couple of weeks to open the new 1609 Bar & Restaurant – the new cocktail menu is amazing! 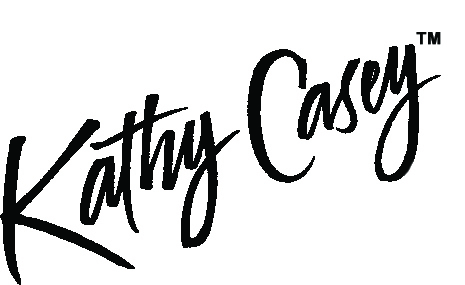 Make sure to follow me on Twitter @KathyCaseyChef for sneak peeks and updates. The VIBE Conference in Las Vegas! After a quick breather at home, the Liquid Kitchen team (Dänny, Heather, Jason, and I) flew down to Las Vegas… for the annual VIBE Conference! During the Cameo Party, we shook up a South Seas cocktail at the Monin & William Grant booth with fellow mixologist Charlotte Voisey. Fresh Thai basil, Monin South Seas syrup, Sun Orchard grapefruit and lime juices, Reyka Vodka & Milagro Silver Tequila – served over large format ice cubes and topped with a sprinkle of Liquid Kitchen Edible Cocktail Silver. The following morning I led a panel on Cocktails on Tap 2.0 (Tapped, Bottled and Pre-Mixed) Seminar with Dänny and guest speakers Brandon Wise from Portland’s Imperial PDX and Matthew Meidinger from the Kimpton Hotel & Restaurant Group). We had a huge attendance and guests sampled a few of our cocktails, including my Bottled Front Porch Cooler. It is exciting to see more and more interest in this growing trend! 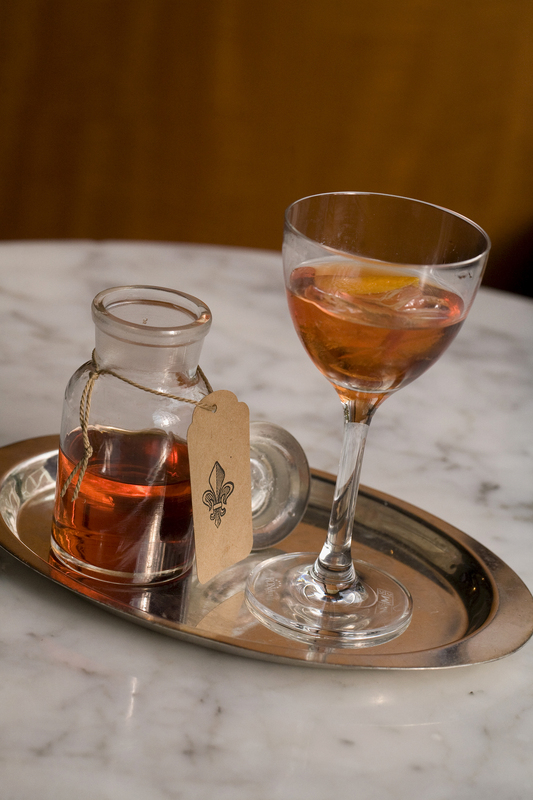 Bar Redeux: From Design – To Drinks – To Training. 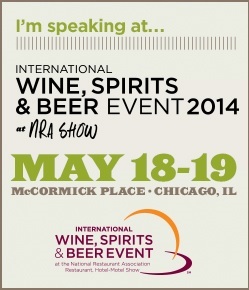 Looking forward to a fun week in Chicago – hope to see you there! Me as my Smitten Cocktail! How fun is this ! Sketch is courtesy of Dave Stolte! The year started off quick with a fun trip to LA for the TASTE Award. My cocktail show Kathy Casey’s Liquid Kitchen was nominated for a under the Best Drink or Beverage Program – Web category. And Small Screen’s President and Founder Colin Kimball had four of his shows nominated. Don’t forget to Like Kathy Casey’s Liquid Kitchen and Small Screen on Facebook. … well I’m sure there are some other great cocktails out there but we are thrilled that SavoirThere.com ‘s World Food Awards picked the Luxury Sling as their Favorite Cocktail of 2013. Liquid Kitchen created this Sling for the Fairmont Makati (Philippines) and it continues to be blog and buzz worthy! …with summer episodes of my Kathy Casey’s Liquid Kitchen! 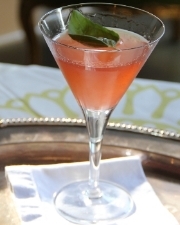 How about a Strawberry Basil Blush made with gin, Lillet Rose, basil and juice strawberries? 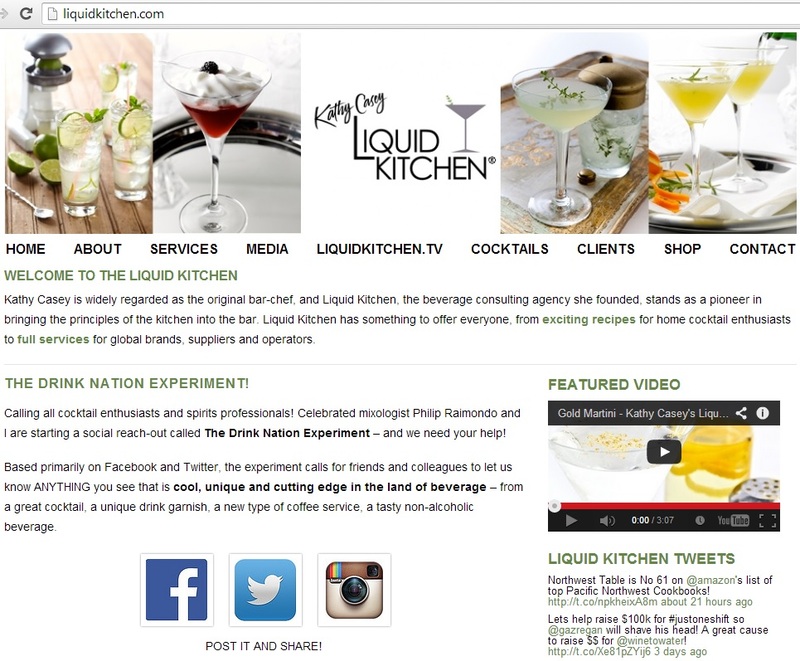 And don’t forget to check out my brand new Liquid Kitchen website for more summer drink ideas. Make sure to download the Chef’s Feed app – a great resource for top rated chef recommended restaurants and foods! 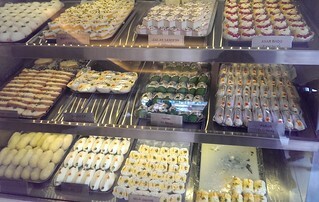 Check out some of my hot spots like the Bruce Lee Roll from Shiku Sushi and the “Oil Soup” from Volterra Restaurant. And for laughs, check out their YouTube playlist Chefs Read Bad Reviews – LOVE IT!! 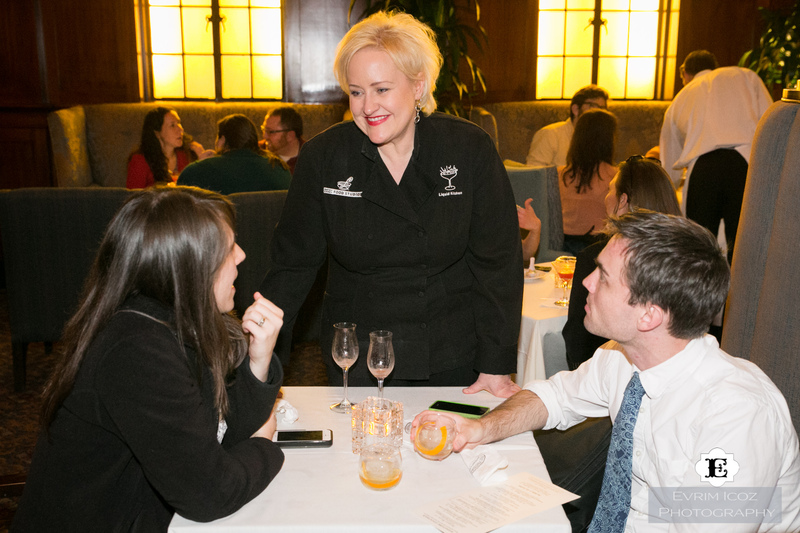 Pacific Northwest’s best female chefs, tastemakers, winemakers, and sommeliers came together for tasty a fundraiser for the Women’s Funding Alliance! This event was held at the amazing Columbia Tower Club, where my team and I shook up the signature cocktail for the afternoon. Check out this great write-up of the event on Wanderlust and Lipstick! I am so honored to be a judge this year for this teen writing contest – an annual event sponsored by Gilda’s Club – Seattle and open to any Washington teens in grades 9 through 12, who has been touched by cancer. Keep your eye on their website for the winning essay. I can’t express how it touched my heart to read these stories….Truly honored. So make sure to Save the Date: Tuesday, May 20 and celebrate cancer survivorship with the 17th Annual Surviving with Style Fashion Show & Luncheon event! All models are cancer survivors with extraordinary stories and will be fitted with clothing provided by local boutiques. Organized by Gilda’s Club Seattle, make sure to get your tickets soon! 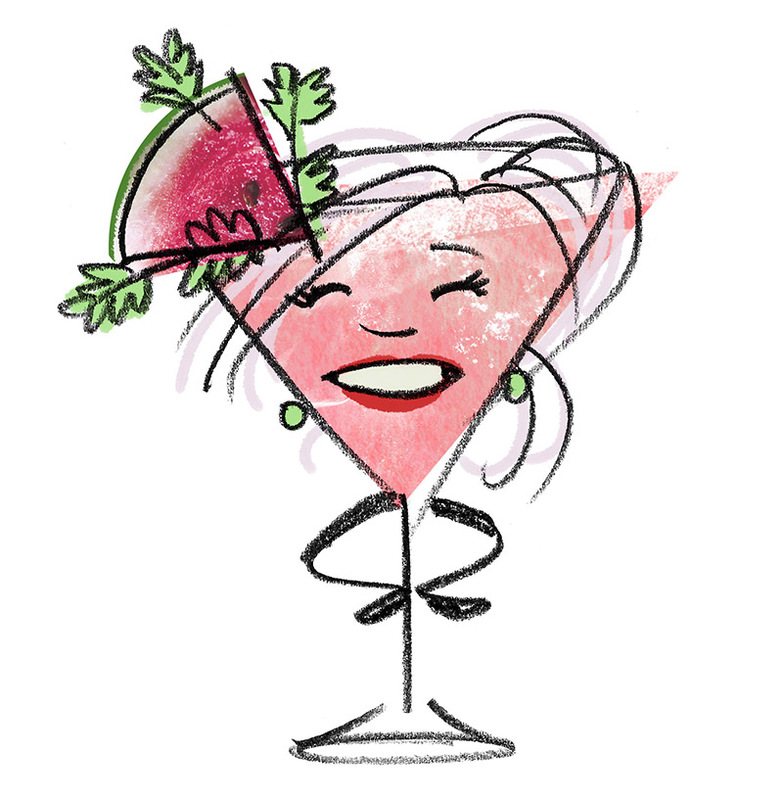 And to toast in spring here is one of my new favorite cocktails – perfect for a brunch celebration (think Mother’s Day) using one of my favorite new cocktail methods – Flash Blending! This frothy drink is delicious to serve for brunch. 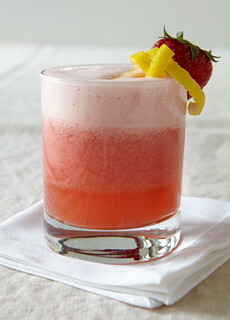 The flash blending of the drink with egg whites makes it extra frothy, and quick and easy to serve to a crowd. You can pre-batch the strawberries, sugar, gin, lemon, and egg white and keep refrigerated until ready to blend with the ice. Twitter: @KathyCaseyChef. 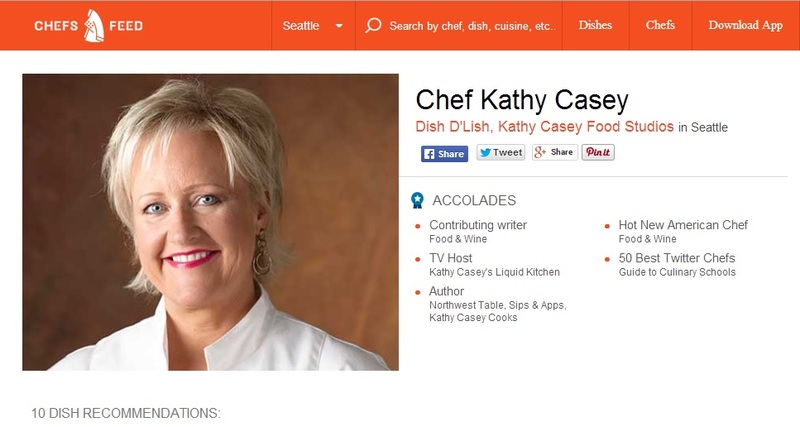 Blogging: Dishing with Kathy Casey. Like: Kathy Casey’s Liquid Kitchen. Read: D’Lish Deviled Eggs. The Drink Nation Experiment is Underway! What is the coolest thing you’ve seen around the beverage world? The Drink Nation Experiment wants to know! Facebook, Tweet, and Instagram anything you see or sip that is cool, unique and cutting edge in the land of beverage. 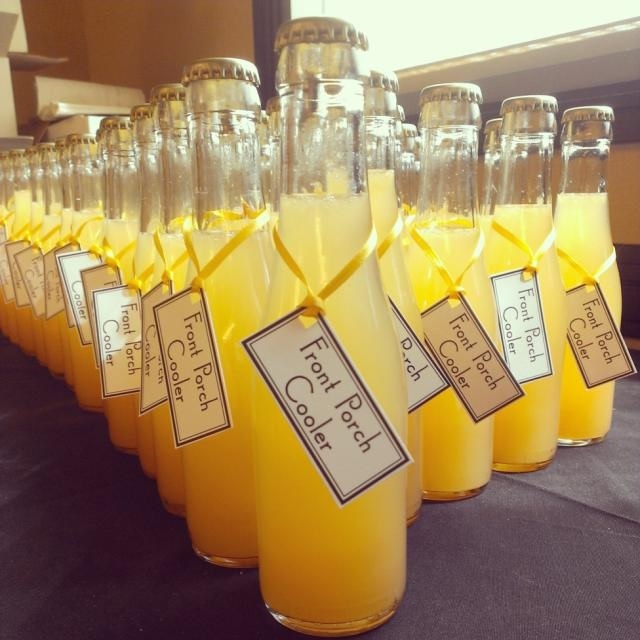 Great cocktails, beers, cider, a cool coffee presentation, a fantastic non-alcoholic beverage –share, tag, and post it! 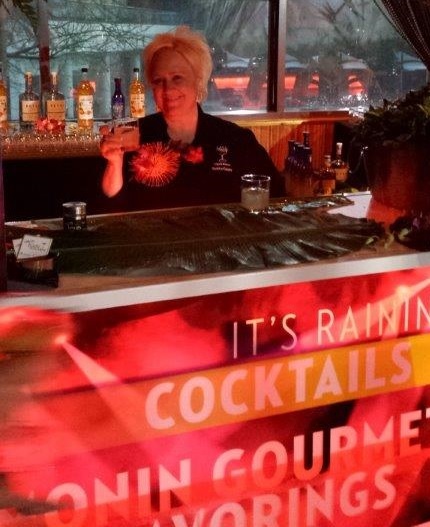 The Top 40 trends and findings will be presented at years Flavor Experience conference by Kathy Casey of Liquid Kitchen and Beam, Inc.’s resident Mixologist Philip Raimondo – and then posted on the Drink Nation Experiment Facebook page. Its Mother’s Day weekend and what better way to treat Mom than with a delicious brunch – complete with cocktails of course! Strata – rustic bread, seasoned egg mixture, sautéed asparagus and mushrooms. Add in some sausage and grated Fontina or Gouda cheese. Refrigerate overnight then pop in the oven just before guests arrive. Serve with a kale salad tossed with orange segments and shaved fennel. That handles the food. Let’s chat libations now. I have a wonderful brunch drink that I’m sure moms will love. Sunkist® Strawberry Silver Gin Fizz – quick and easy to serve to a crowd and oh so brunch-y! Just combine fresh sliced strawberries tossed with powdered sugar, fresh Sunkist lemon juice, some of our great local gin and egg whites … yes, that’s right egg whites. Flash blend with a little ice for a super d’lish frothy drink that will put a smile on any mom’s face. Good bread is the foundation ingredient for any strata. With so many great breads available today, it isn’t a chore to find one to add to these breakfast bakes. The challenge now is in deciding which one to use — be it Como bread from Grand Central, a delicious La Brea Bakery loaf or any other sturdy, handcrafted bread. And if the bread’s just a little bit stale, that’s okay. In fact breakfast bakes are a great way to use up day-old artisan breads. Fold in a cup of fresh baby spinach for added greenery. In a large sauté pan heated over medium-high heat, cook the sausage until halfway cooked, about 3 minutes. Then add the onion and mushrooms and sauté for another 2 minutes. When veggies are tender, add asparagus and garlic and cook for 1 minute. Remove from heat and set aside. In a large bowl whisk together the eggs, half-and-half, salt and pepper until well combined. Add the bread, Fontina cheese, half the Parmesan cheese and the cooked sausage mixture. Place in an 11 x 13-inch baking pan. Sprinkle the remaining Parmesan cheese over the top and let sit, refrigerated, at least 1 hour or preferably overnight, so that bread soaks up egg mixture. When ready to serve, bake in a preheated 350-degree oven for approximately 45 – 50 minutes or until puffy and golden and a knife inserted in the center comes out clean.